According to an Early Christian monk, if you are a theologian you will pray truly and if you pray truly you are a theologian! 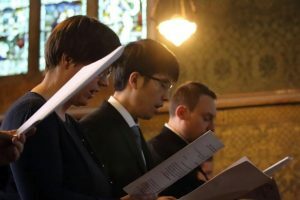 Shared prayer and worship is one of the most significant gifts the Cambridge Theological Federation offers along with joint theological study and teaching between the different Christian traditions. Fortnightly, on Tuesday in term, members gather for worship in one of the Federation’s centres with services constructed and led by an individual institute. Though ecumenically hospitable, services also convey something of the leading institute’s particular worshipping ethos, (e.g. URC, Methodist, Roman Catholic, Orthodox or Anglican). Assistance (e.g., with musicians, speakers, techies) is provided by other Federation members as requested. There is an annual Holocaust Memorial observance led by members of Woolf Institute in collaboration with students from other institutes. 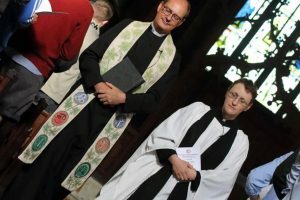 By mutual agreement this is a shared act of commemoration and devout reflection, a regular part of Federation Worship, but not itself worship as understood in any of our faith communities. The tradition of Federation Worship amongst Christian members offers a graced opportunity to share liturgical experience and bring prayerful imagination to bear on our striving for Christian unity in a divided world and fragmented Church. It allows us time and space to gather as theologians, to pray together for unity. It opens up students and staff to the riches of other traditions, expanding our knowledge of how Christ is proclaimed and God worshipped beyond the security of our usual ecclesial “comfort zones”. It is therefore a real learning experience and a prophetic sign of unity. 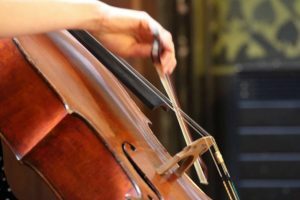 We share in styles of worship that are often challenging and provocative as well as consoling – worship that draws us beyond ourselves. The process enables us to step outside our familiar worship-boxes and to allow other traditions to impact our experience of common prayer. We learn from approaches to worshipful mission that are new to us. We also learn from our mistakes. There are often informal gatherings after worship where people comment on their experiences. Over the years Federation members have gained experience in ecumenical hospitality and generous critical discussion. Federation Worship thus contributes importantly to a faithful ethos in which to study theology together in a truly ecumenical spirit. Our diversity in worship reflects the richness of our theological diversity. It directs us together toward the ultimate goal of all our study and prayer – communion with the Holy and Undivided Trinity.